This Santa will be in the spotlight on a table, shelf, or fireplace mantel, ANYWHERE you put him. 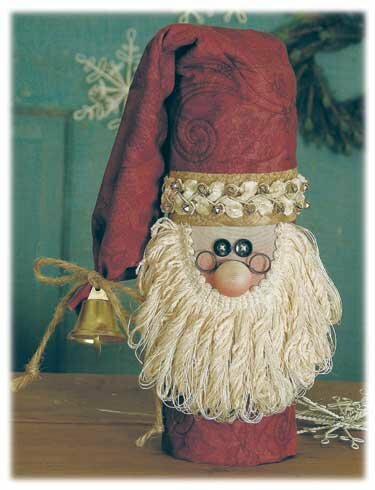 He includes everything you need to make 1 Stumpy Santa, including pattern, fabrics, batting, 9" Kraft tube, vintage chenille hat trim, chenille loop beard trim, button eyes, liberty bell, wire spectacles, jingle bells, and jute. Super quick & easy. Makes a great gift!